Which form do I fill out? The Free/Reduced-Price Application or the Educational Benefits Form? These schools are eligible for meals at no cost through Community Eligibility (CE). An Educational Benefits Form should be completed if you have children attending these schools. These schools are not CE and require an application to determine if you are eligible for free or reduced-price meals. 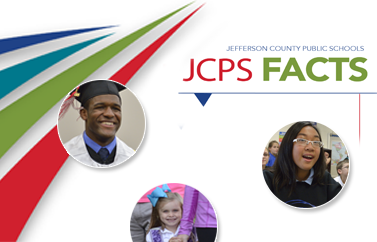 You may fill out an application online or at various JCPS locations. If you have children attending both types of schools, complete the application. For more information, call (502) 485-6237. CE allows school districts in high-poverty areas to provide meals at no cost to students in schools that qualify. 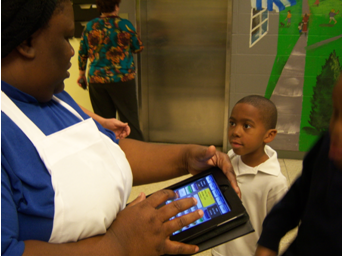 Most JCPS schools qualify for CE, which means all students at those schools receive meals at no cost. How were CE schools selected? Schools were selected based on the percentage of Directly Certified (DC) students. What is a DC student? Students may be Directly Certified when they receive certain federal benefits, including Supplemental Nutrition Assistance Program (SNAP) and Kentucky Transitional Assistance Program (K-TAP). Students identified by the district as homeless, Head Start, migrant, or runaways are also considered DC. Some foster children and some children receiving Medicaid may also be considered DC. Students who do not attend a CE school may qualify for free or reduced-price meals. Online applications are faster, easier, and more confidential, but if you prefer, you can request a paper copy by calling (502) 485-6237 or by visiting your neighborhood school.